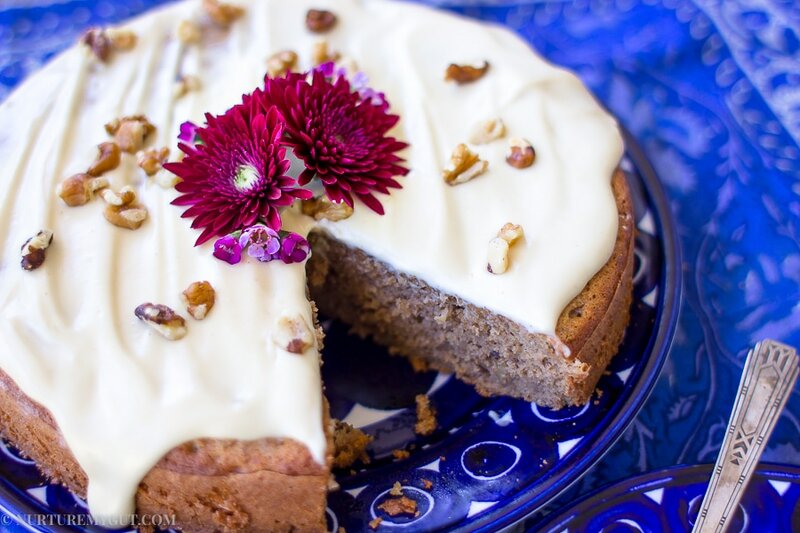 Gluten-free Banana Spice cake w/ Vegan Cream Cheese-a Moist, flavorful and dreamy dessert for a very special occasion. Do you have a birthday party or anniversary coming up and want something extra special for this momentous event? 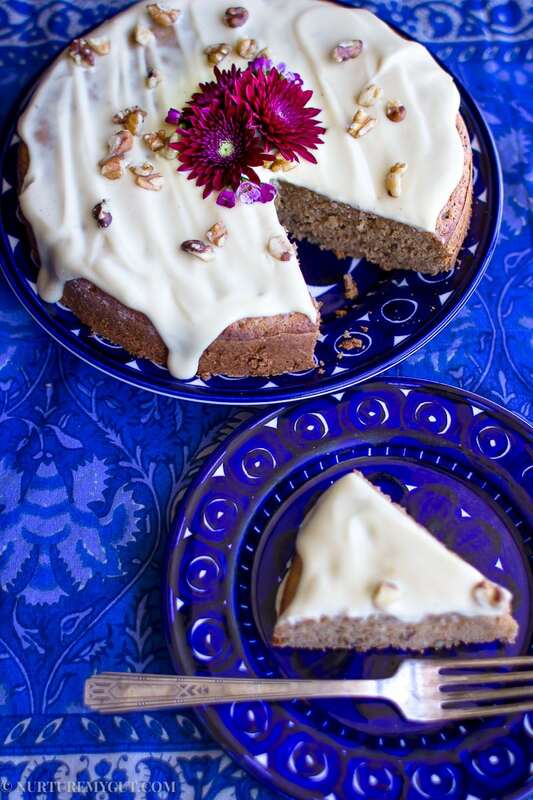 Make this Gluten-Free Banana Spice Cake w/Vegan Cream Cheese that can be whipped up in less than an hour. 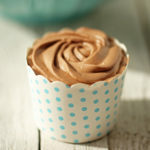 I will ensure you that this cake is absolutely delicious and easy to make! 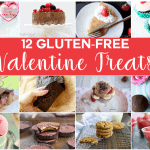 It is gluten-free, dairy free, and refined sugar free. In a separate mixing bowl, stir together your dry ingredients: mashed bananas, egg yolks, avocado oil, and vanilla. Stir in your chopped walnuts to wet batter. 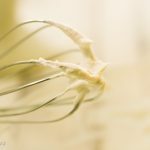 In a dry mixing bowl or Kitchenaid mixer, whip your egg whites until soft peaks form. 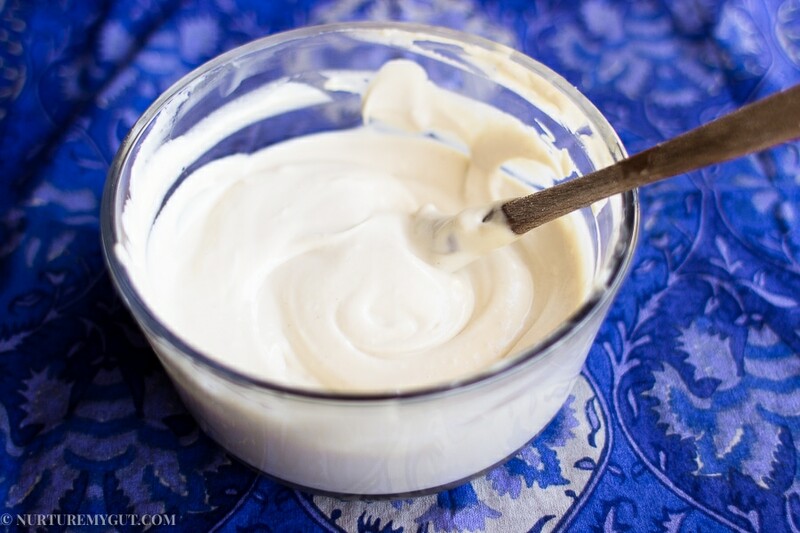 Fold in half of your egg whites into your batter, gently fold in remaining egg whites. Lightly grease and flour a 9 inch round Spring form pan and pour in your batter. 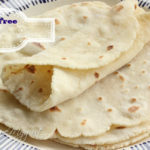 You can cover the bottom with parchment paper if you like to easily remove bottom of spring form pan before serving. Bake in a 350° preheated oven for 35 minutes or until toothpick inserted into the center of the cake comes out clean. Soak cashews in hot water for 30 minutes and drain. To a high-speed blender or food processor, add your soaked cashews, coconut milk, fresh lemon juice, maple syrup, vanilla and salt. Blend until smooth and creamy. Chill vegan cream cheese in a sealed container until ready to frost your cake. 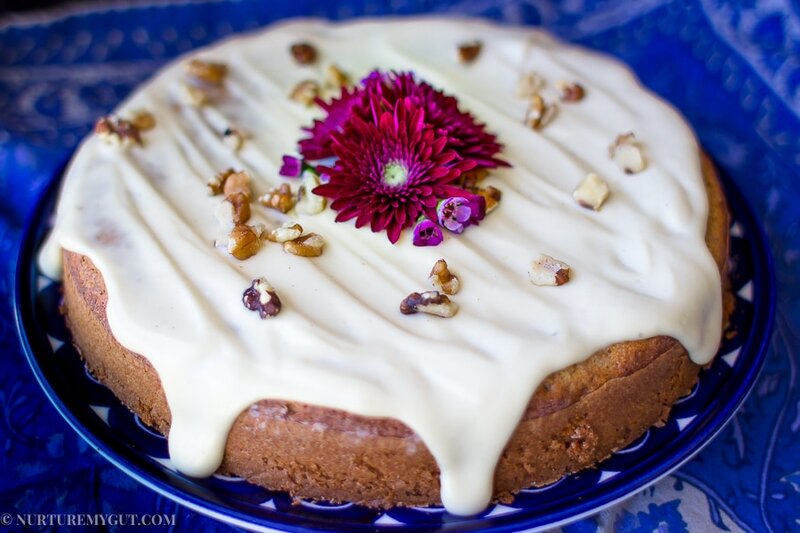 To save time, make your vegan cream cheese while your cake is baking. 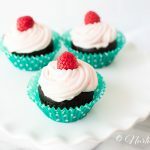 This will allow you to make your cake and frosting in less than an hour. 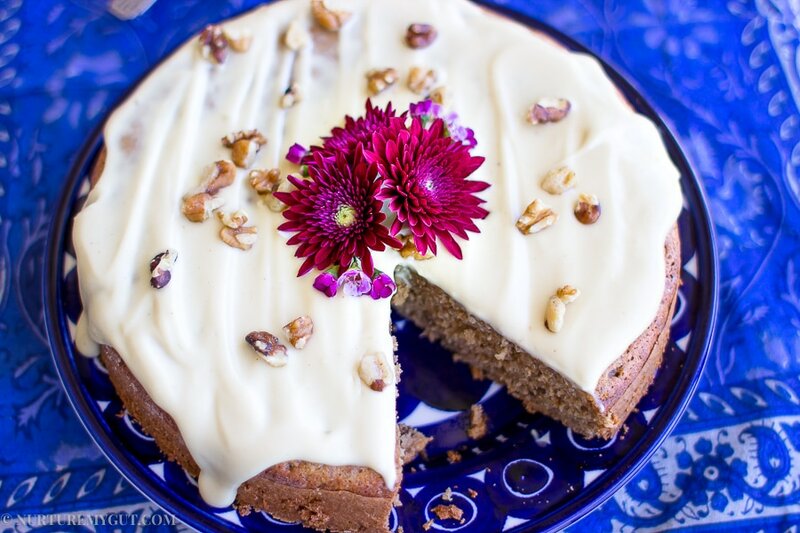 Place a thick layer of vegan cream cheese onto your cake as the cake will absorb some of the frosting. Use a spring form pan for baking so you can easily remove cake before frosting. Before removing your cake from the pan cut around the edges of the cake with a sharp knife. Frost cake immediately before serving because the frosting will slightly darken in color after a few hours. 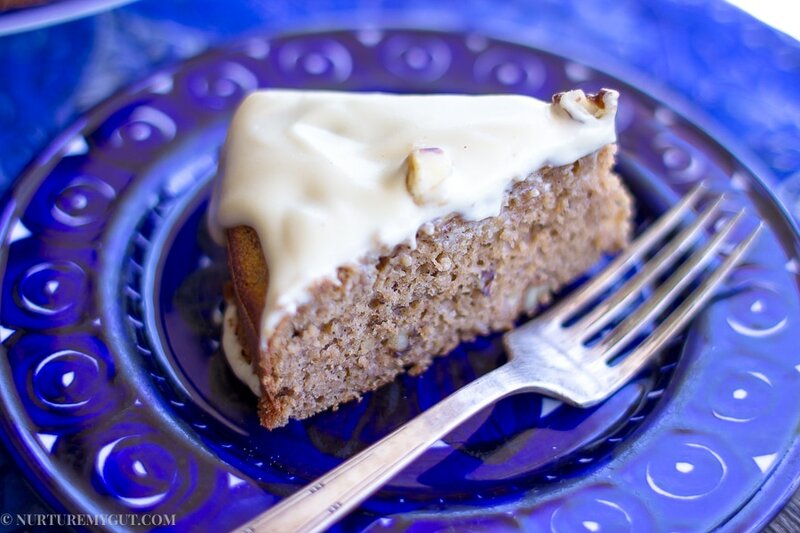 I have never eaten a banana spice cake before until recently. 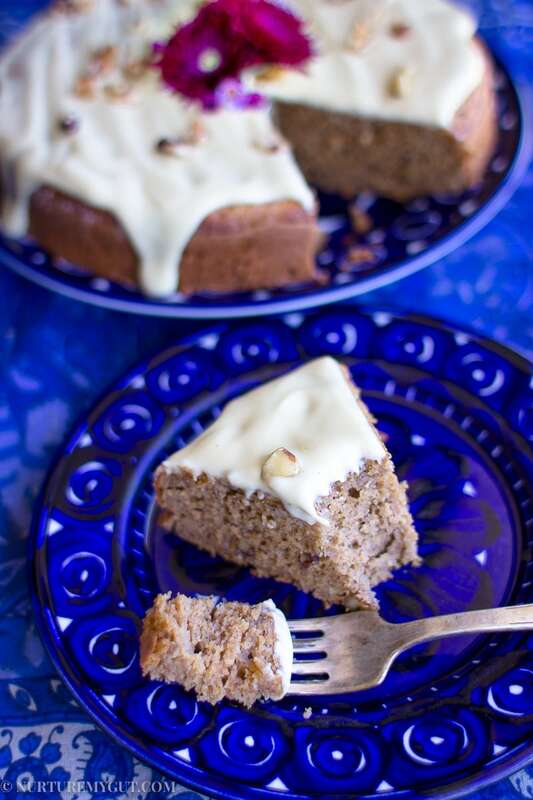 My friend Michelle who blogs at GlutenSugarDairyFree is not a baker so she referred one of her amazing readers to me requesting a banana spice cake recipe. 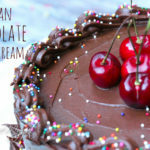 This is her husband’s favorite dessert and his birthday was coming up so she wanted to make this special cake for him-refined sugar-free, gluten-free and dairy free. I was up for the challenge! 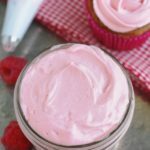 If you are looking for other delicious recipes to top with this vegan cream cheese, I would recommend you pour it over my Gluten Free Lavender Pound Cake and Paleo Harvest Muffins. I have been wanting to come up with a few cake recipes for you guys so this was perfect timing! 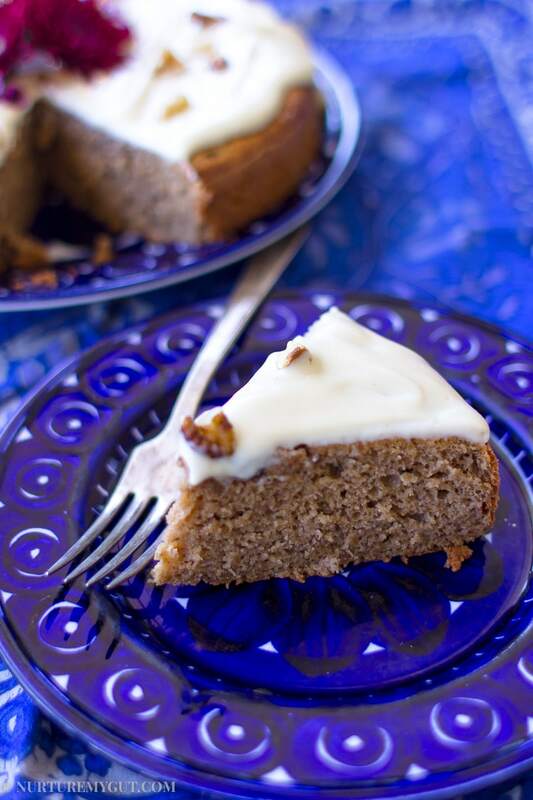 I had never heard of a banana spice cake before so I had to do some research. 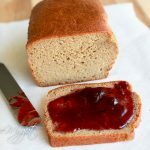 What I discovered was that a banana spice cake requires very ripe bananas and warm spices such as allspice, nutmeg and cinnamon. What a perfect combination of flavors and spices! To make this cake extra moist, I decided to go with a coconut flour and potato starch base. I also opted to beat the egg whites to help the cake rise since most grain free cakes are dense. Nevertheless, this cake is not 100% grain free since it does have baking powder. Baking powder is made from corn. 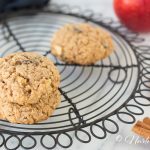 It is such a minimal amount that it does not bother my digestion, but if you have a corn allergy, and want to make this cake 100% grain free you can replace the baking powder with a teaspoon of baking soda and a teaspoon of apple cider vinegar. 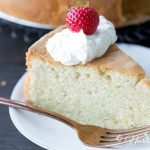 The baking soda and apple cider vinegar create a reaction that will help the cake rise, so feel free to use that instead if you have a corn allergy. 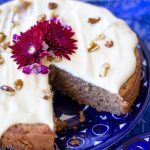 Be sure to make this deliciously moist Gluten-Free Banana Spice cake w/ Vegan Cream Cheese for your next birthday or special event. 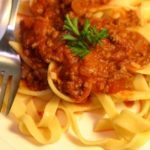 It is healthy, oh so good, and can be made easily in less than an hour! 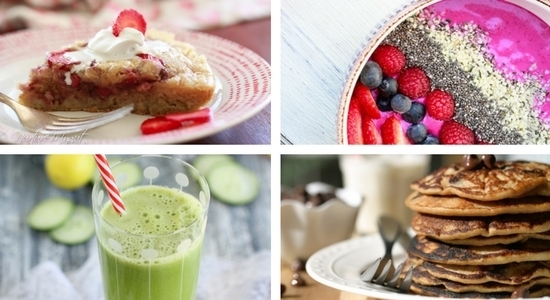 For more deliciously healthy gluten free recipes, please subscribe below. 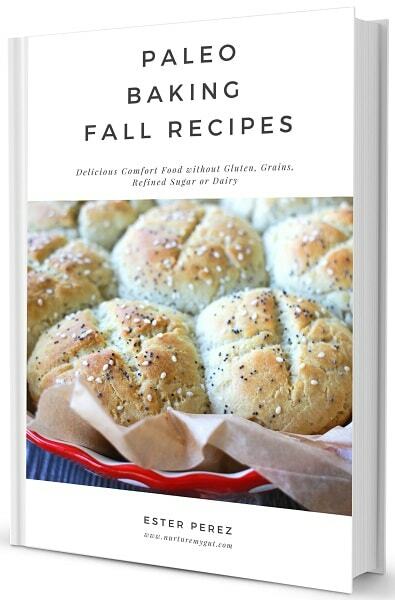 You will get my free Breakfast Paleo E-book as my gift to you! In a large mixing bowl, whisk dry ingredients together until all lumps are removed. In a separate mixing bowl, whisk together mashed bananas, egg yolks, olive oil and vanilla extract. Stir dry ingredients into wet ingredients. Add walnuts to batter and stir. In a dry mixing bowl, beat egg whites until soft peaks form. Fold 1/2 of egg whites into batter gently with a rubber scraper. Fold remaining egg whites into batter. 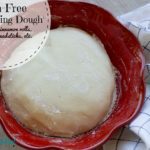 Add batter into a greased and lightly floured 9” spring form pan lined with parchment paper. Bake in a 350 degree preheated oven for 35 minutes or until toothpick comes out clean after inserted into the center of the cake. 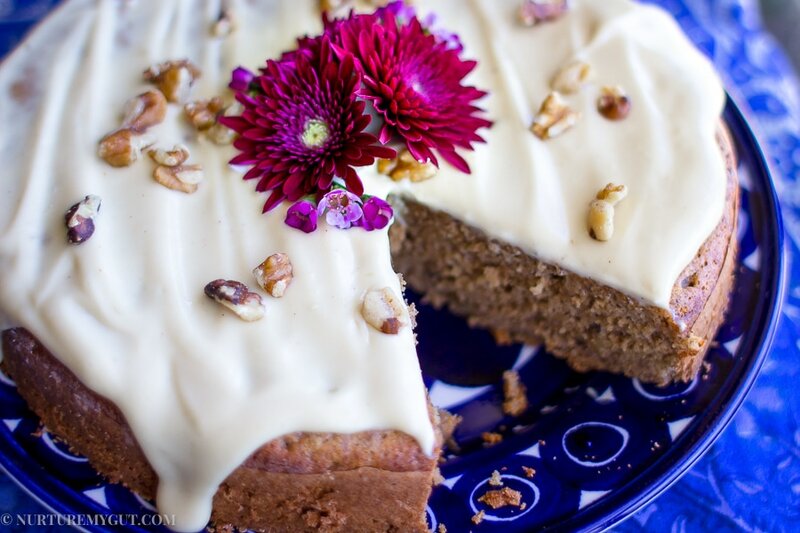 Allow cake to cool and pour Vegan Cream Cheese Frosting before serving. Top with chopped walnuts. Serve immediately. Nutritional data below includes 2 Tablespoons vegan cream cheese per serving. 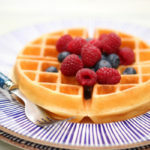 Add all ingredients to a high speed blender or food processor and blend until smooth and creamy. 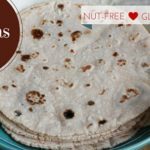 Spread onto Gluten Free Banana Spice Cake immediately before serving or store in a sealed container to chill until ready to use.